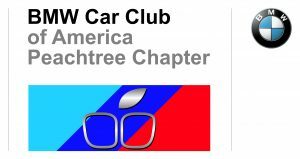 Peachtree Chapter BMW CCA would like you to join us for our second driver’s education school of 2018 at Roebling Road. This school will take place on June 15th -17, 2018 on the full course. Due to BMW CCA national requirements, we have had to make some changes to pricing. Each nonmember registration will include one year of membership with the BMW CCA. The Peachtree Chapter BMW CCA will handle all necessary filings once your registration is complete. Please be patient with the necessary information will not be submitted until registration for this event has closed. An advanced development day is also scheduled for Friday, June 15th. It is available for all instructors and a limited number of very experienced students. There is an additional fee to attend. You may request Friday during registration; however, this is for our most qualified students. We are now accepting VISA, MasterCard, and e-Check payments through a secure payment process integrated with the registration system. You can check the status of your registration by visiting the “dashboard” section of your drivers account, and confirmed participants will receive a link to the confirmation package via email, at least two weeks prior to the event, containing the medical, technical inspection, and other materials you will require prior to the school. If you have any questions concerning the school or registration, please e-mail us at dschool@peachtreebmwcca.org. Instructor inquiries should be directed to chiefinstructor@peachtreebmwcca.org.